I was going through my recipe book today and found this handy little thing! It’s midnight, and I’m really craving dessert. Given that this is Australia…well, let’s just say that it’s a little hard to find past midnight places in the suburbs (unless you’re craving kebabs). Oh, and I also try not to keep ice cream at home – it’s just too convenient and we usually go through a tub really quickly. So what’s a girl to do? 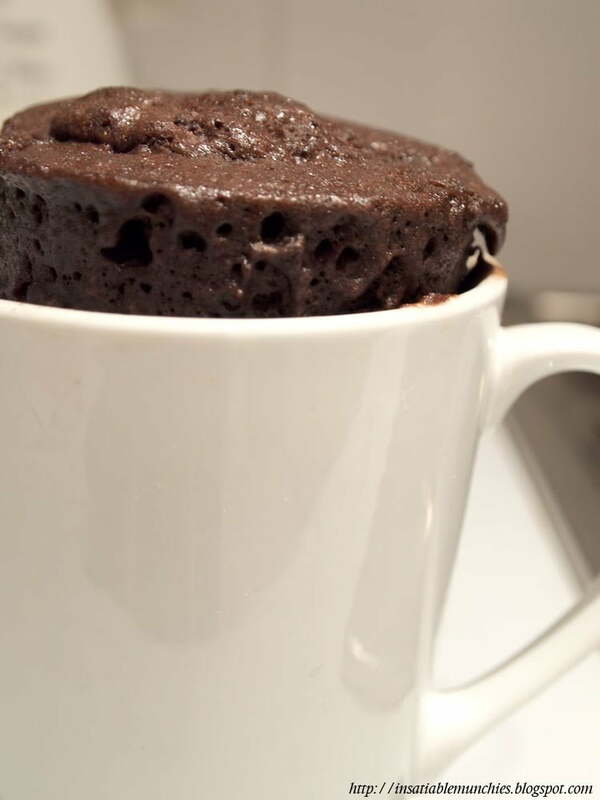 Answer: Chocolate Mug Cake! Add dry ingredients to a mug and mix. Add the egg, and mix well. Pour in milk and oil and mix well. Fold in chocolate chips and a splash of vanilla essence. Microwave on HIGH for 3 min (1000 watt).